but they really count. 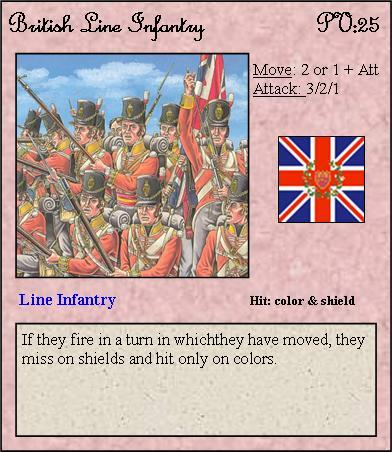 Hard to catch and kill, but deadly with their rifles. 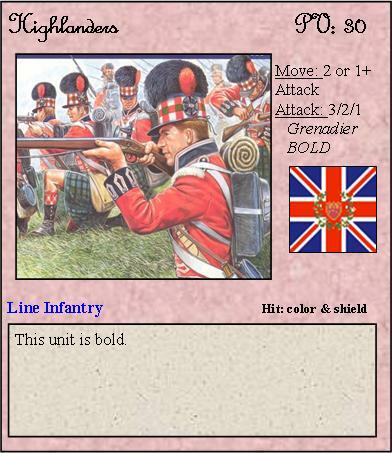 The British Highlander regiments were famous for their ferocity and high morale. 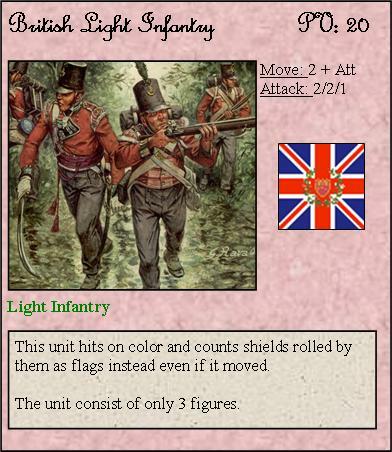 The sound of their bagpipes often terrorised their enemies. 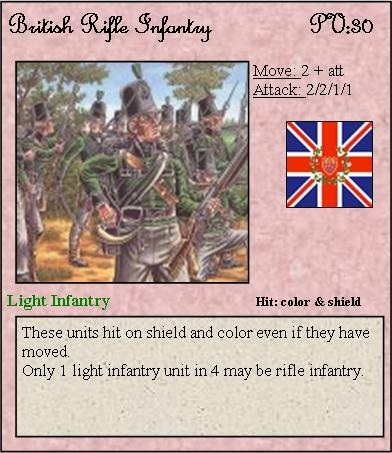 The light infantry regiments underwent large changes under General Moore. rifles allowed beter aiming and longer ranges. 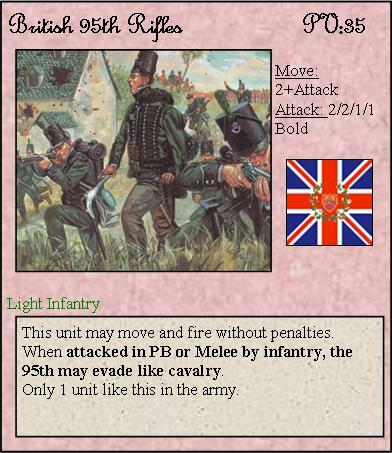 which offer a +1D to the battleroll, this infantry is very hard indeed.